One of the most irresistible fly for saltwater predators; Glass Shrimp. 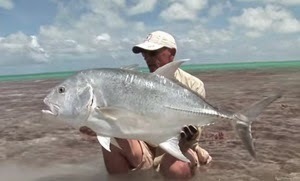 If you are into fly fishing, watch this out! Here we will see fly tier master Morten Hansen aka coastfly ties his Glass Shrimp using an Ahrex NS122 hook. Rainforests, polar bears, garden plants.. all affected by increasing global warming and there are massive campaigns to protect our environment against this threat. But what about the fishes? What do we know about the stress they have because of global warming? Here https://goo.gl/qDz5zO an interesting must read article at The Guardian "How warming seas are forcing fish to seek new waters"
Russian men spearfishing a monster halibut in Norwegian Sea. 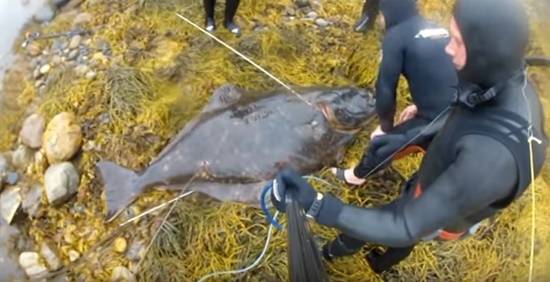 It's one of the biggest halibut ever fished by speargun in Norway. Russians travel to North of Norway to find the greatest monster fish. I love Feed jigs! Perfect design, perfect casting, mesmerizing colours. 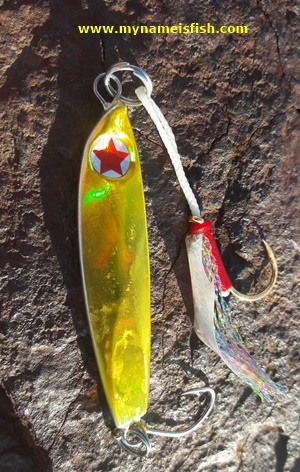 I have about a dozen of different sizes and colours of these magic free flutter jigs. 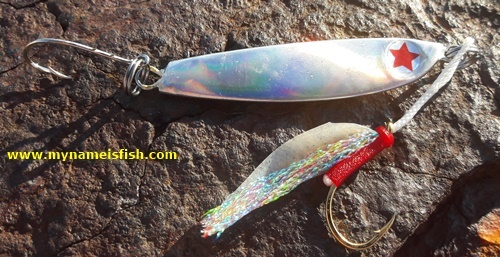 Here a 25 grams shiny gold / glow colour 109 (7109) flip with Shout Rigged Assist Hook with Rainbow Feather (Size M). It's 75mm (3 inch). 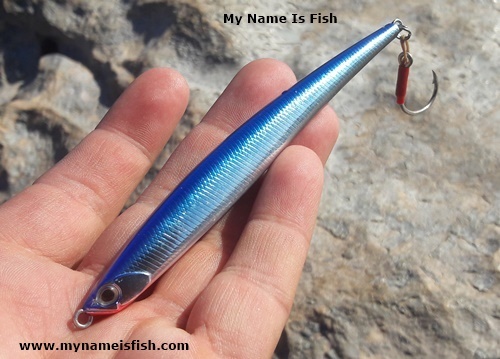 Like all other Feed Lures it makes casting from the shore very easy in all kind of water and weather conditions especially if you are trying to catch bonitos, gruper, barracuda, mackerel, snapper and big breams. 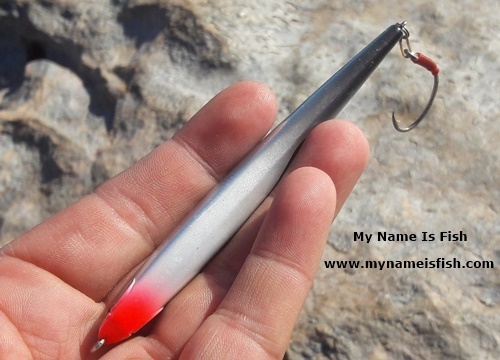 I attached an Owner single replacement hook, Size 1, black chrome. 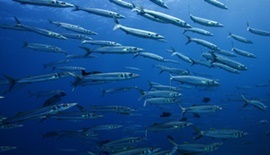 It's works well if you are chasing fish with sharp teeth, like barracudas.